The giant effigies were discovered within aerial photographs of roads, footpaths, field boundaries, china clay works, water channels and other geographical features. The Moor is a psychic space; we cannot take three steps without encountering ghosts bearing all the prestige of its legends. We move within an open landscape whose landmarks constantly draw us backwards and forwards from the past into the future. Certain shifting angles, certain receding perspectives, allow us to glimpse original conceptions of fragmentary space. Certain shifting angles, certain receding perspectives, allow us to glimpse original conceptions of fragmentary space. In these magical locales, archaic images gain a catalysing power. It is very important to realise that the constellations are not the same as the signs of the zodiac. Constellations vary greatly in size. Also the constellation which appears to be behind the sun at the equinox and solstice changes gradually over the centuries, owing to a slight distortion in the earth’s rotation. Around 150 CE, the Greek astronomer Ptolemy listed 48 constellations. More have been named since, mostly in the southern sky. In 1930 astronomers agreed to divide the whole sky into 88 constellations. Sky-guides often have lines to join the main patterns of the stars. Few constellations actually look like the mythological beings or objects they are meant to represent. In spatial détournement, a rambler reuses elements of a known territory to explore a new psychic space with a different meaning, often one beyond the boundaries of the “original”. In this case maps of outer space are folded into maps of terrestrial space. So our ritual walks are spatial détournements based on precise plans to overturn external temporal/spatial manipulation of our rambling. We have created our own walking system instead of being enslaved by another man’s. We do not advise others to follow these routes, but instead to create their own pathways of exploration. A star map is based upon a concave sphere, whereas the surface of the earth is convex. 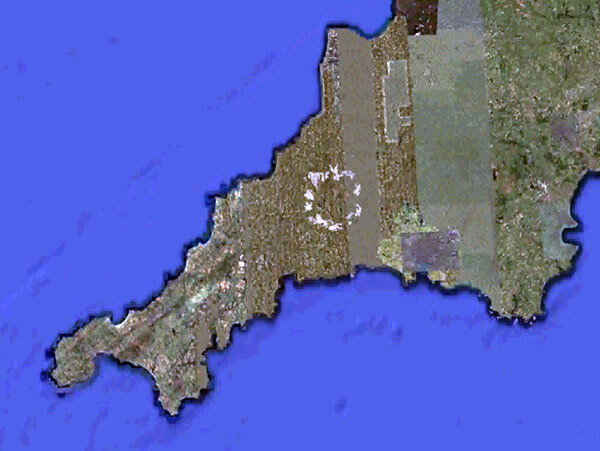 Neither sky nor Bodmin Moor is flat nor digital, unlike the maps used in this exploration. The pre-existence of this vast planispheric diagram imprinted upon the landscape goes totally against commonsense from the viewpoints of the academic, archaeologist or rational thinker. However we have chosen to work with this fictional mythos and endeavour to make it real. In doing so we believe we have accessed a massively powerful thought-form with a strong etheric existence. Looking at the patterns drawn on a landscape allows us to analyse their origins in the communication between human and animal life, technology and landscape. A detailed study gives us insight into how we remember our travels. Terrestrial Zodiacs are an affront to notions of authorship, time and space.They are zones of futurist antiquarianism where belief is always challenged and the imagination is allowed its right to roam. In the 1960s, the archeaologist TC Lethbridge, suggested that “droll” stories of giants forming the Cornish landscape might be a folk memory of giants effigies formed by the landscape. Lethbrdge informed his friend C.W. ‘Fred’ Tebbutt that he was aware that three landscape giants, cut into a Kaolin subsoil existed on Bodmin Moor. 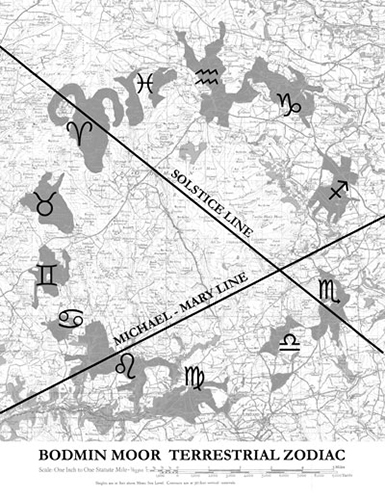 Lethbridge also recommended Mary Caine, author of The Glastonbury Zodiac and The Kingston Zodiac , to look for a zodiac on Bodmin Moor. In the 1990s, our own study of the Bodmin Moor Zodiac emerged from multi-disciplinary investigations into the Beast of Bodmin Moor, (to be found here). 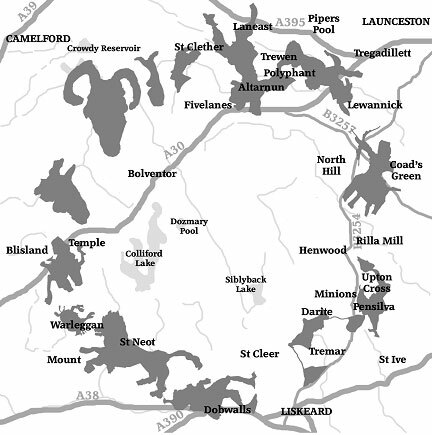 In 2006/2007 we carried out extensive fieldwork on the Moor using GPS technology. 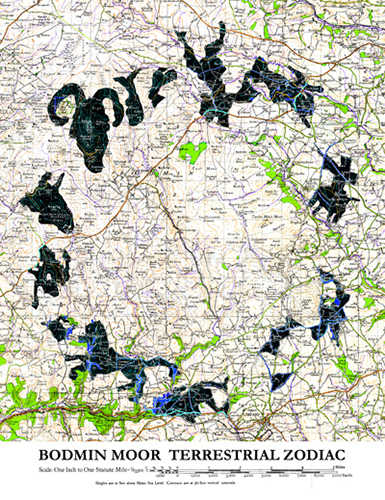 Using GPS, a follow-up analysis of a created map provided a different perspective on how the Bodmin Moor Zodiac was organised. By looking at various data from above, below and within, moving through both time and space, we are able to make additional observations, analysis and conclusions regarding our rambles that might not be possible from ground level. Rough Tor is approached by an extraordinarily straight road over three-quarters of a mile long. Its straightness is very much out of character with the more usual Cornish lanes which wind around the countryside. 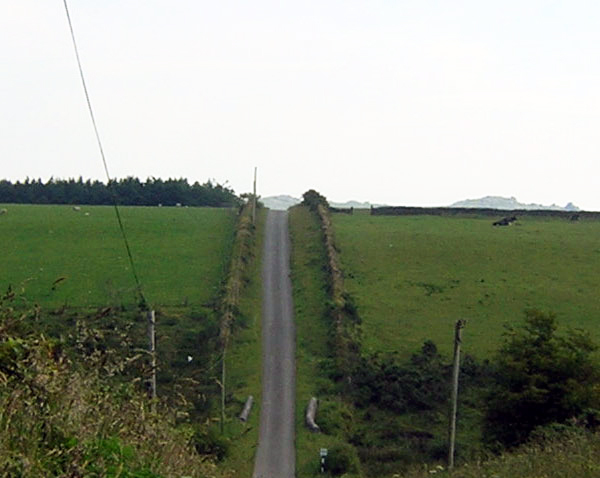 When viewed on a map a straight edge placed along the length of this road connects the gap between Showery Tor and Rough Tor with the Holy Mountain, Brown Willy then connecting Hill Tor, the Cheesewring on Stowes Hill and Caradon Hill Television Station. This line also connects with the point of sunset on the summer solstice. When continued to the sea the line crosses Tintagel Island, the birthplace of King Arthur. Arthur is an archetypal solar hero. His Round Table is where twelve knights are assembled, each with his own unique character and personality. This is indisputably a reference to the sun and the zodiac constellations which divide the annual cycle. If Tintagel is Arthur’s birthplace, then Bodmin Moor must be his Round Table. However, Arthur, the Sun King is not a historical person, but a metaphor for our common source of energy. The Round Table, or Bodmin Moor Terrestrial Zodiac, therefore is not a physical space to be owned by a historical figure, but a common material space to be shared as an aid to enlightenment.